Pirate Ship can't attack unless defending player controls an Island. 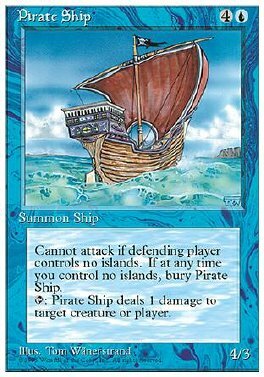 T Pirate Ship deals 1 damage to target creature or player. When you control no Islands, sacrifice Pirate Ship.